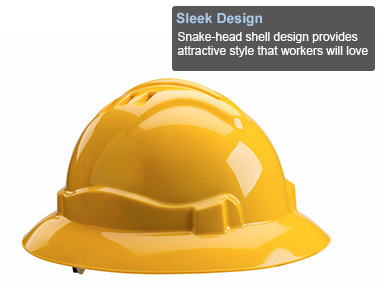 Serpent is an ultra-comfortable safety helmet that offers durable head protection for a wide range of work environments. Vented shell allows heat to escape, keeping workers cooler. 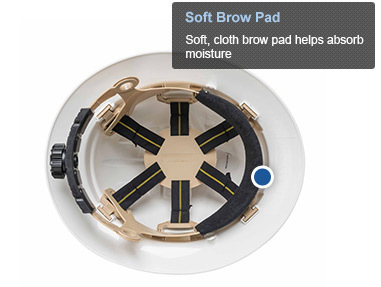 Manufactured from a high-density polyethylene material that’s durable and lightweight. Eight-point, six-strap nylon suspension is comfortable yet provides exceptional impact absorption. Rotating ratchet adjustment system provides a custom, comfortable fit. Independently tested to meet the ANSI Z89.1 standard for Type 1, Class C only safety helmets, and the voluntary ANSI Z89.1-2009 standards for lower temperature, higher temperature and high visibility (Hi-Viz shell colors only). For pricing information, please contact your local sales representative.